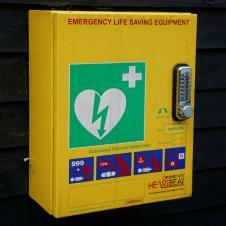 Helmdon Primary School have installed a defibrillator on the front wall overlooking Station Road. Please look for the bright yellow box on the front wall under the school sign. This equipment is for use by any member of the public at any time in an emergency and it can be accessed when the school is open or closed. Instructions are clearly marked on the defibrillator case and it is designed to be used by individuals who have no prior knowledge or training. If you're worried about an urgent medical concern, call 111 and speak to a fully trained adviser. For less urgent health needs, contact your GP or local pharmacist. The following links (blue text) are to local Medical Services. This list may not cover all available services. For complete listings you should refer to the NHS website or others as appropriate. Information correct when posted - 17 July 2018. The Brackley Area Volunteer Car Service is run by South Northants Volunteer Bureau (SNVB) and provides transport for those people, particularly the elderly and disadvantaged, who find it difficult to get to essential medical or social care appointments. If your doctor's surgery is in Brackley then you can use this service so please call 01280 841099 for further information or visit www.snvb.org.uk. Passengers must register with the service and pay an annual membership fee of £25.00. Journeys must be booked at least 3 days in advance and passengers pay the driver 45p per mile (the driver will calculate the cost for you). The drivers are all volunteers and they will remain nearby for up to 2 hours to take you home again. This service is only available for people going to medical appointments such as doctors, dentist and physio. Please click here for Citizens Advice, Samaritans & Wellbeing - lists of services with phone numbers. For South Northants Volunteer Bureau (SNVB) & Good Neighbour Scheme (Northamptonshire ACRE) please click here.